Fall is officially here! I can’t believe that it’s already the end of the year and that Summer is over. Where has the time gone?! While Fall is an indication of the year soon coming to a close, there are so many great things to still look forward to. For one, Fall fashion is (in my opinion) the best time of the year. There’s just something about the rich colors and chic styles that make Fall unlike any other season. And while it is indeed Fall, we are still in this in between phase where Fall weather hasn’t quite set in yet. So in the meantime, I’m rocking transitional styles such as these midi skirts from Modcloth. 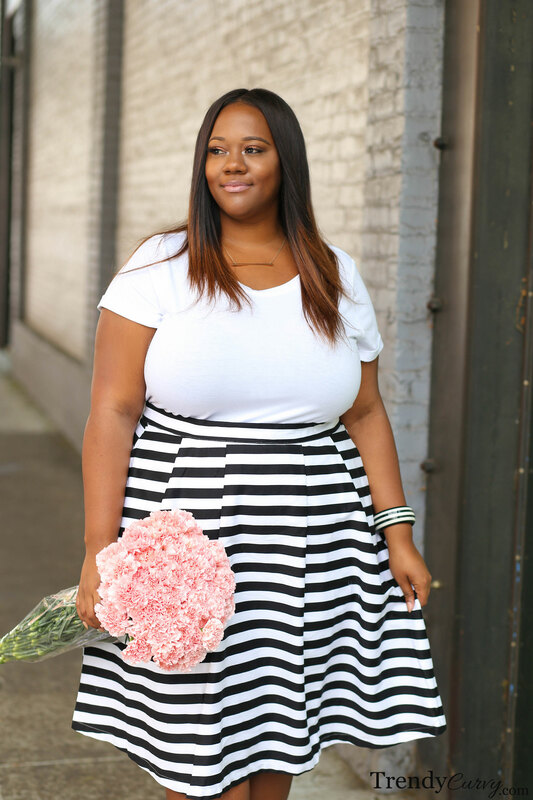 Midi skirts are most notably worn in the Spring but they really can be worn all throughout the Summer and parts of Fall as well. These ladylike garments give you a distinct silhouette that is both feminine and chic. They are not only classic in that they never go out of style but they are also super versatile. There are an endless amount of prints and colors that these skirts come in. You can dress them up or dress them down and you can even add outerwear like a sleek moto jacket. 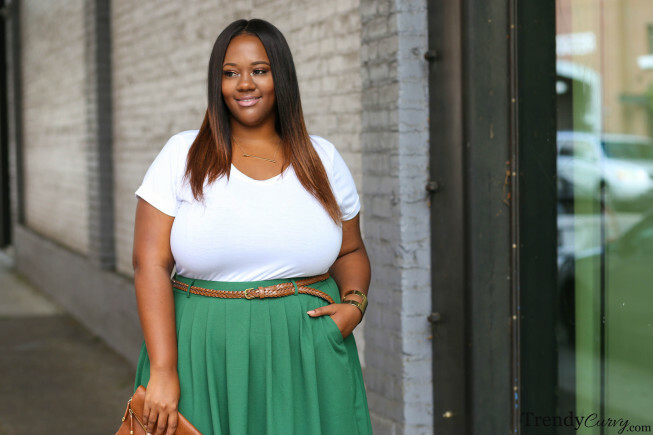 Midi skirts are a great style for any body shape or size so they are a great staple to have in your wardrobe. 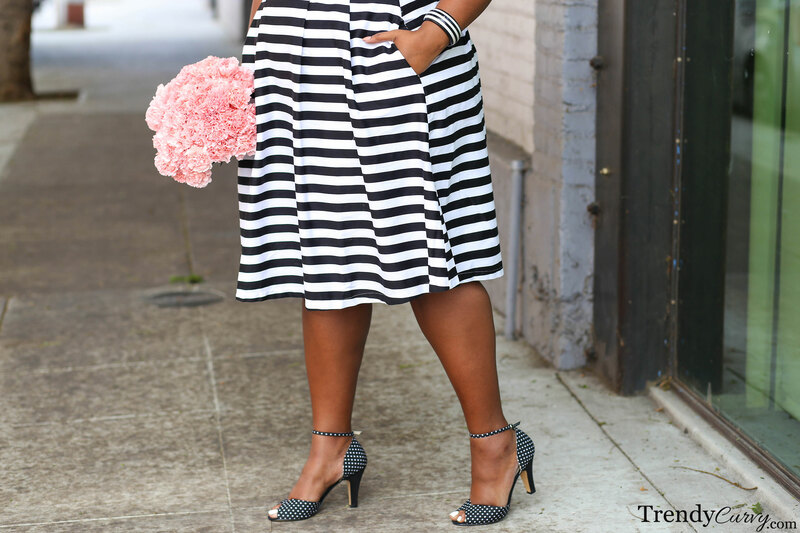 Shop the great midi skirts that Modcloth has as well as their wide selection of Fall styles for all sizes! 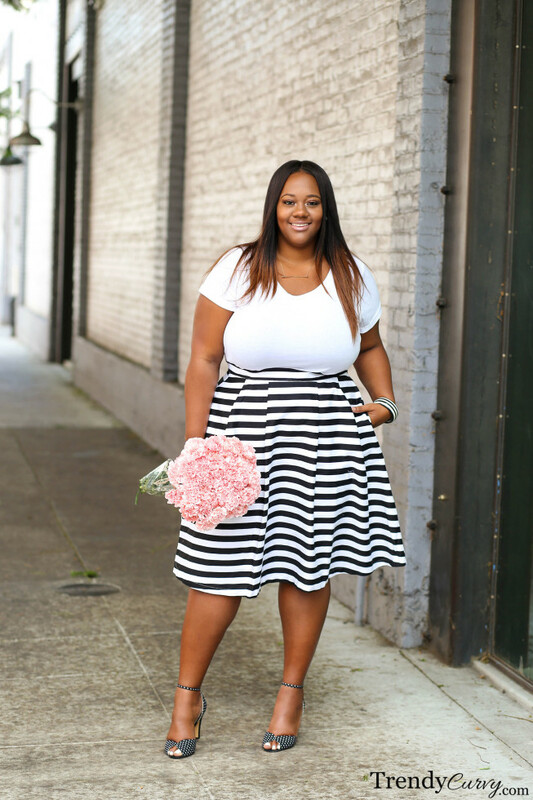 You look pretty in this midi dress and You have very nice personality, Always keep motivated all the curvy plus size girls. Talk about 2 smashing outfits..so well put together! ? Kristine, I’m a sucker for a good pattern so I’m all about the skirt in the first outfit and those shoes are to die for. Werk! What I really love about the first set of photos is that instead of using an accessory for a pop of color you used flowers instead. Very out of the box type of idea, that I absolutely love. Thanks so much Gigi! Appreciate the compliment! 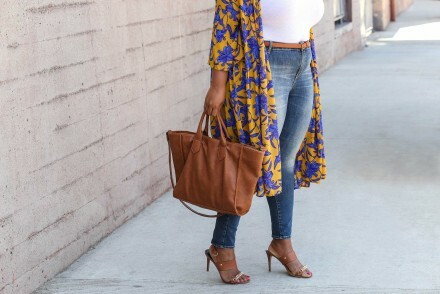 Always loving you midi looks, you do them so well. Oh, Kristine you are so beautiful. I am not weird or anything but I realized even though I don’t know you it is not about the clothes. It is you. You have a beautiful spirit that always shines through. You are such an encouragement to us, curvy and plus size women. You always show us class and style whether you dress up or dress down. I say it every time, thank you so much. You are appreciated.